A family from 2121 is stuck in 2004, trying desperately to fit in. 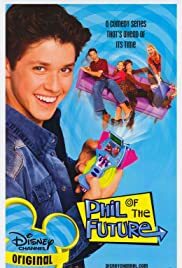 How many episodes of Phil of the Future have you seen? A teenage girl periodically receives brief psychic visions of the near future. Trying to make these visions come true results in trouble, and hilarious situations, for the girl and her friends. The Russo family may be an ordinary family with an average restaurant, but behind close doors, all three children must compete to be the next family wizard. Sonny, a talented Midwestern girl, has won a nationwide talent search to move to Los Angeles and star in a popular television series. Sonny's home and work life is documented along with her adjustment to life in the spotlight. Keely Teslow: [cheerfully] Hey! 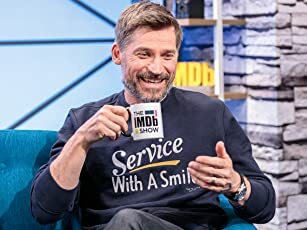 So I got your message. Where's your racket? Phil Diffy: My dad says our puddinator project will draw a lot of attention and that people will find out that we're from the future... My family has to move. Keely Teslow: This is crazy! We had all these plans! We were gonna go fishing this summer and I hate fishing. The only reason I was gonna go was because I thought it'd be fun with you! Keely Teslow: S-so when are you leaving? I love this show! Its one of my favorite Disney shows along with raven and Lizzie. Ricky Ullman is a good actor and I have a feeling he'll go far. The show has a good story base and its awesome. Its a great show for teens and tweens and i love it! I love Pim (amy) and Keeley(alyson). Its a funny show and who knows, maybe all the gadgets they have will give someone an idea for an invention for the future. lol. Anyways I hope the rest of you enjoy it. I hope to see these actors/actresses in more upcoming films. This is just a great show on Disney and i watch it about every night Keep Watching! I know I will be. 31 of 44 people found this review helpful. Was this review helpful to you?